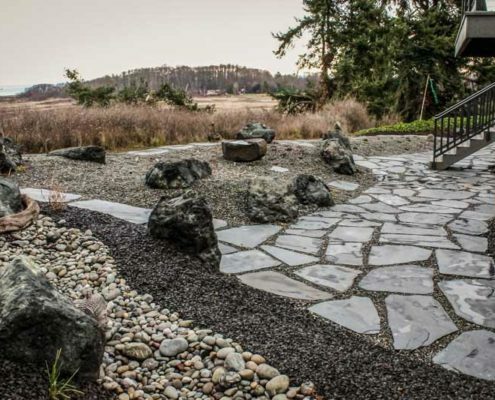 All our landscapes are designed to incorporate many different elements including dry riverbeds, patios, fences, water features, boulders, gazebos and so much more. 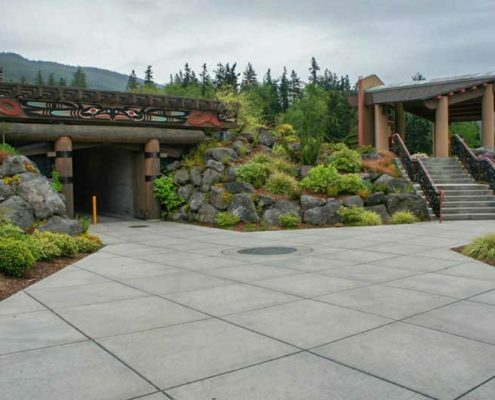 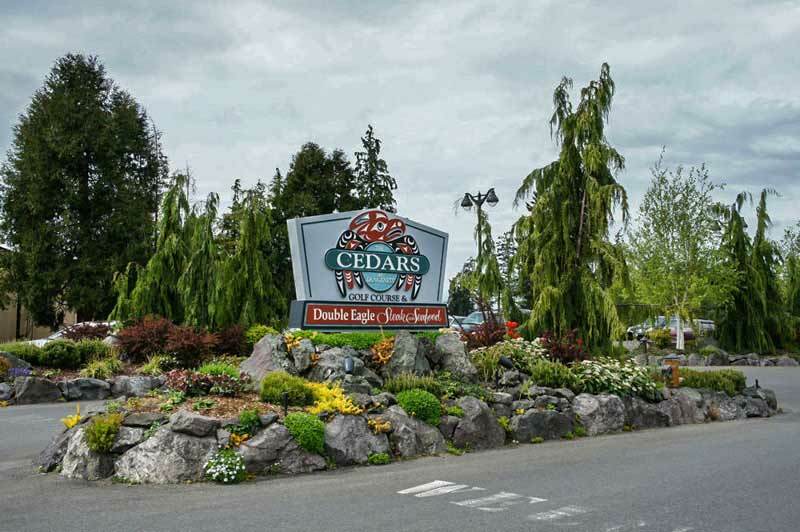 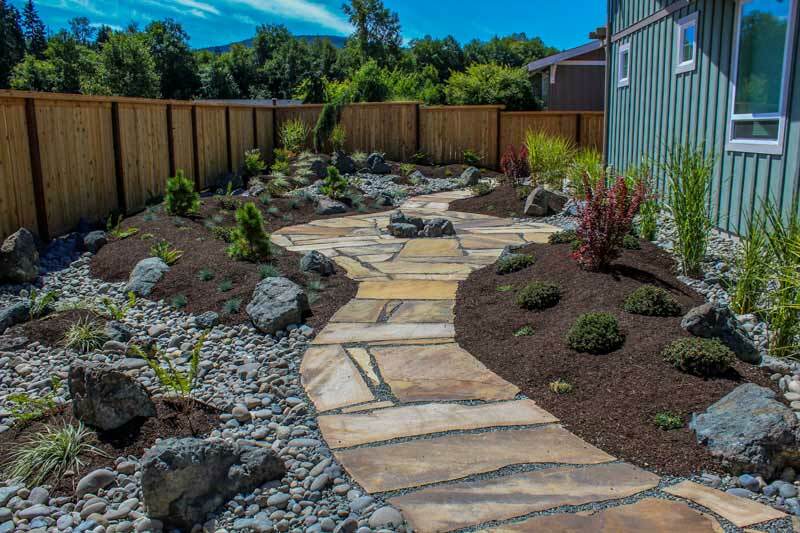 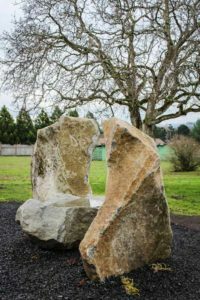 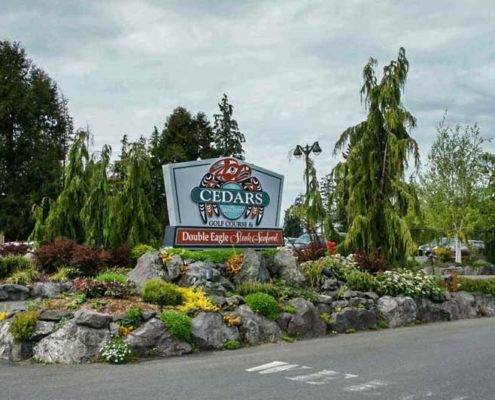 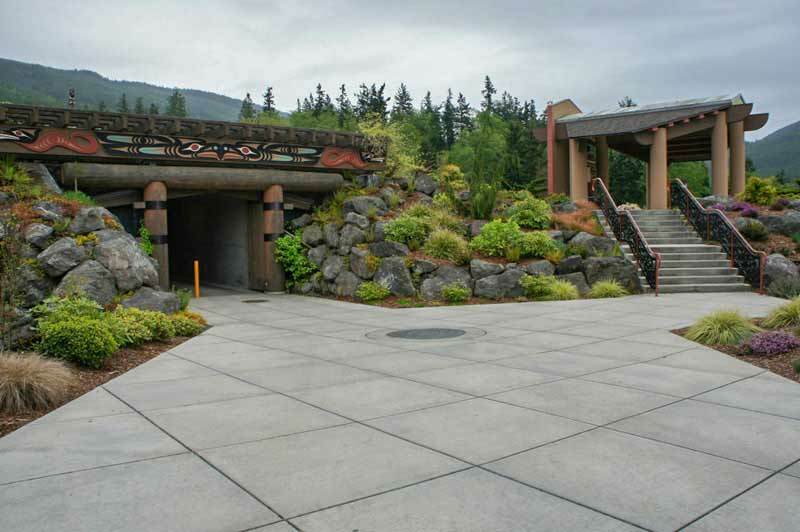 Inspired by the mountain streams and rivers of the Pacific Northwest, ONA Landscape utilizes a combination of large boulders, streambed round rock, plants and hand picked logs to create your custom dry riverbed. 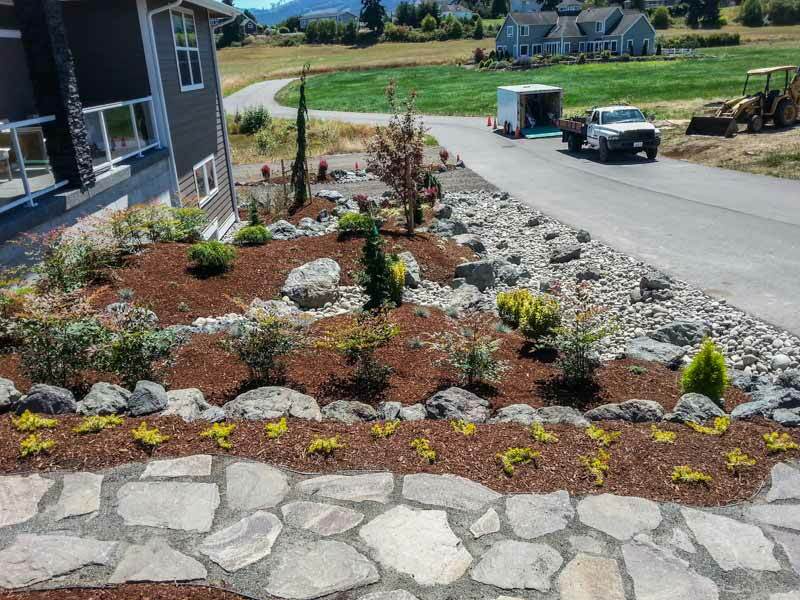 ONA Landscaping’s Dry Riverbeds are built to mimic nature and add depth to your landscape by creating a more organic look. 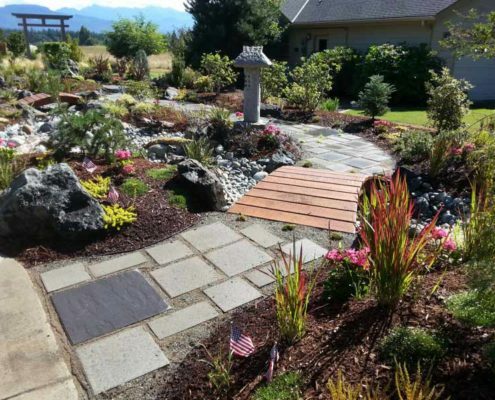 This xeriscaping technique requires low maintenance and can be designed in different styles unique to each individual landscape. 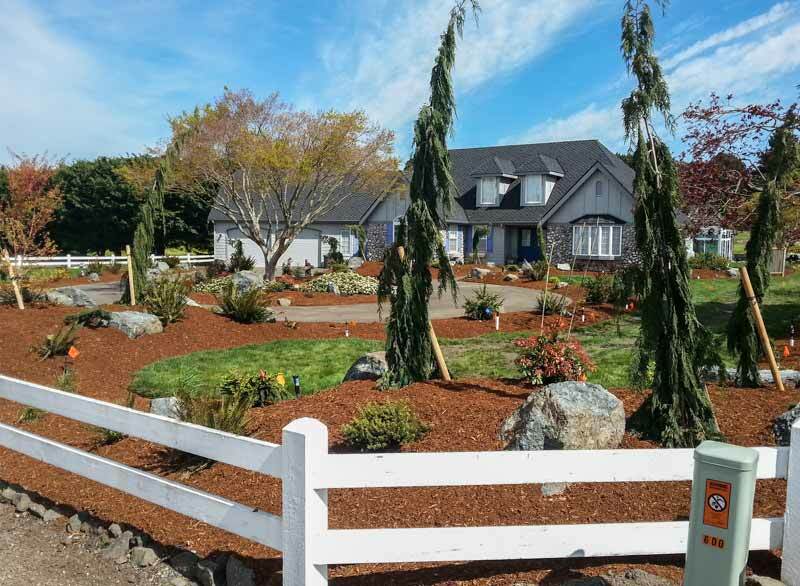 Quality is always our priority when building custom Fences and Gates. 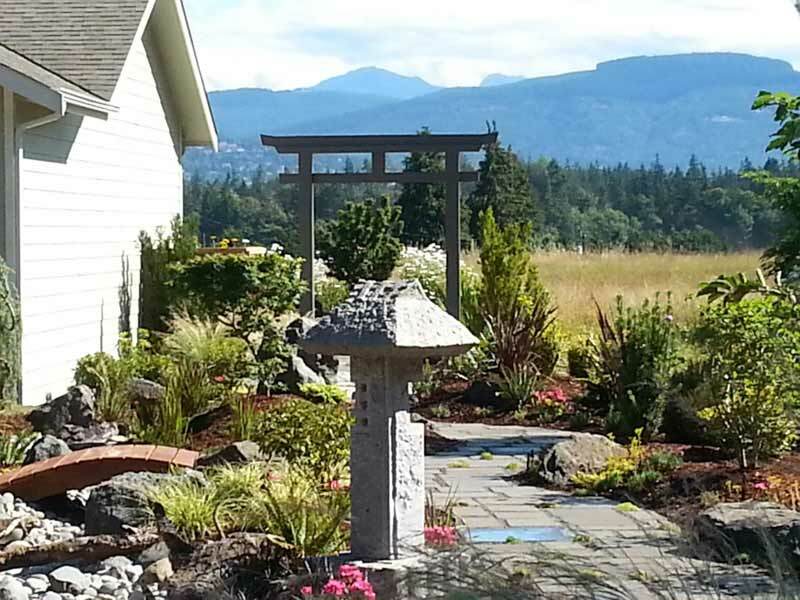 ONA Landscaping adds built-in arbors to your gates, which not only adds style but long lasting stability as well. 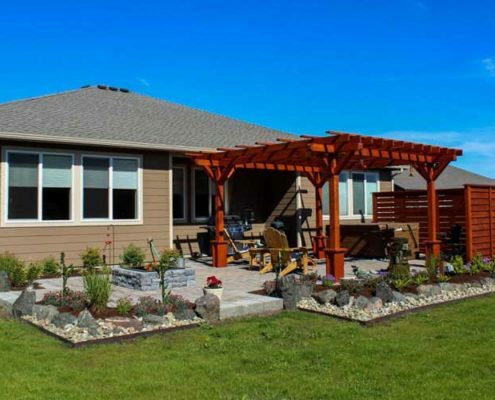 We always use outdoor grade fasteners, thicker fence boards and metal gate frames to ensure utmost quality. 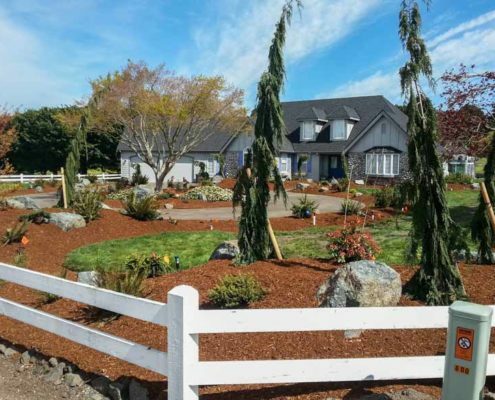 ONA Landscaping’s Fences and Gates are long lasting and look great because we encourage the use of custom caps and trim. 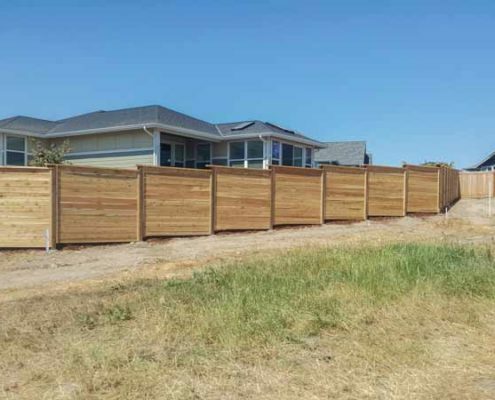 Simply put, we build our fences and gates to last. 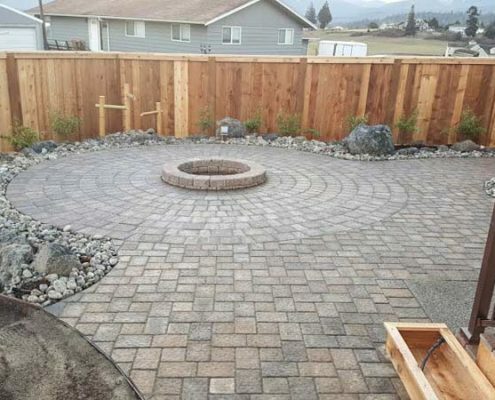 The hardscape approach to landscaping provides a zero to low maintenance aspect to your outdoor living space. 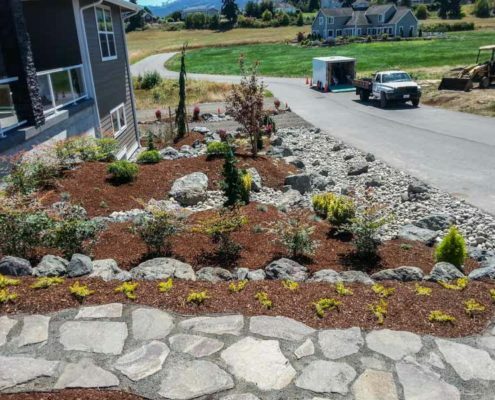 Not limited to patios and walkways, hardscaping can include retaining walls, outdoor kitchen areas, steps and stairs, fire pits, sitting walls and much more. 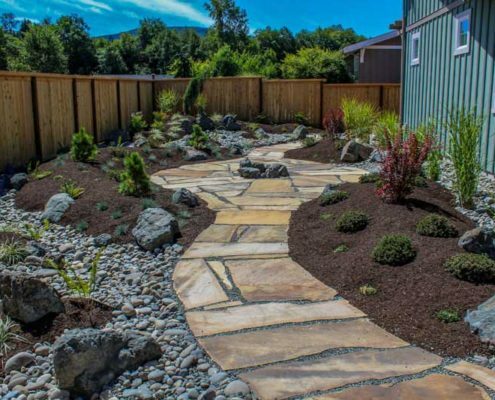 Something as simple as adding a winding path through your landscape using custom cut flagstone or high quality pavers can add a huge impact to your outdoor living space. 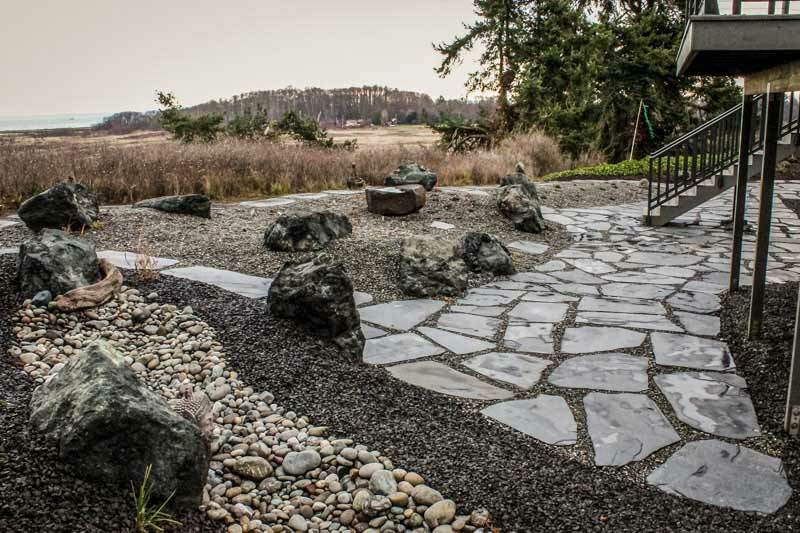 Stimulate your senses by adding the soothing sight and sounds of water to enjoy year round. 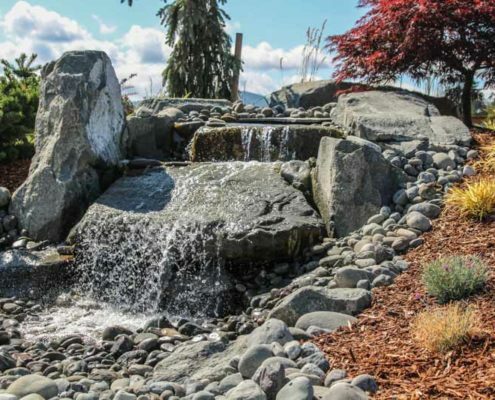 Types of water features can range from small bamboo spouts to large waterfalls crashing over boulders into a pond. 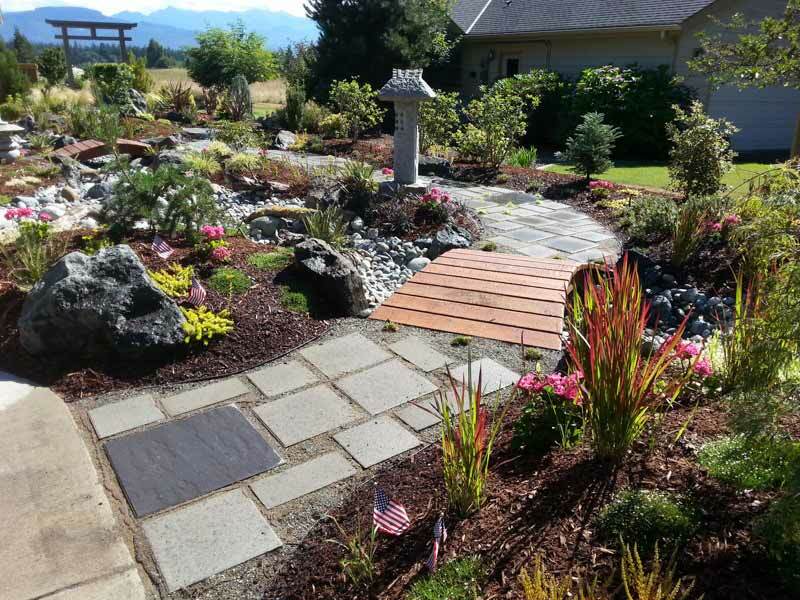 ONA Landscaping takes ‘custom’ one step further by building water features by hand and placing each element to perfection. 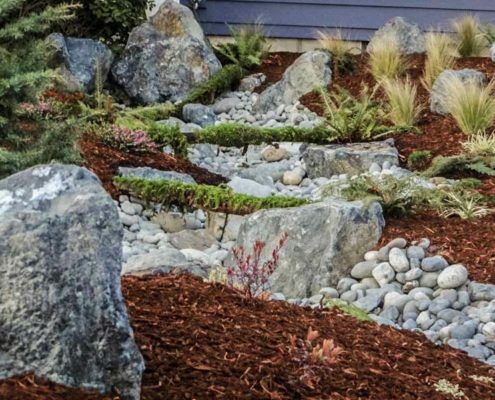 All our water gardens, ponds, streams and waterfalls can be built to accommodate fish and attract wildlife if desired. 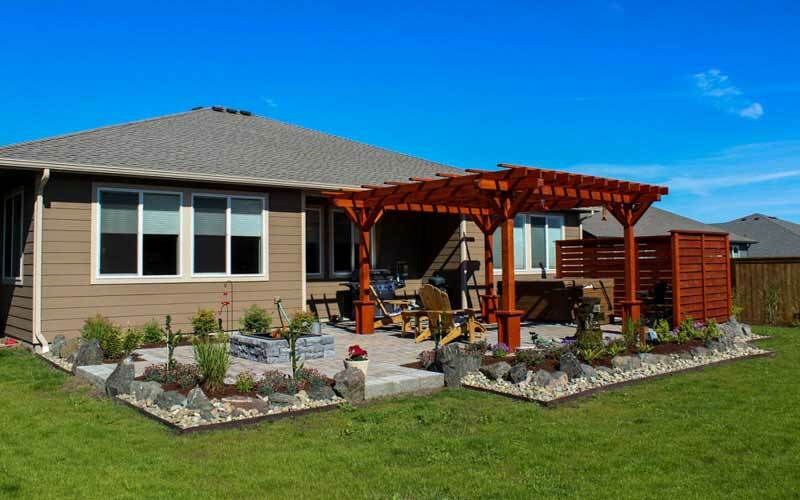 Garden Structures and Enhancements offer endless possibilities from gazebos and pergolas to decks and bridges. 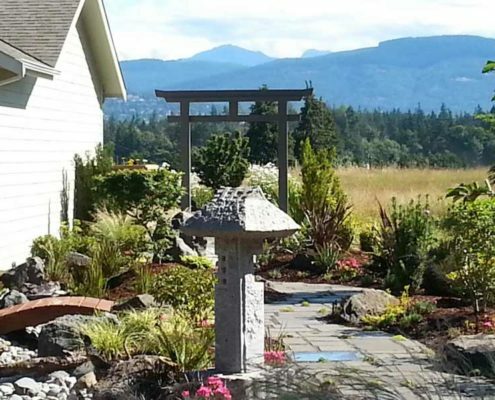 We can build staircases and steps, outdoor enclosed garden areas, torii gates, trellises, benches, windscreens, greenhouses and custom wooden or metal planters. 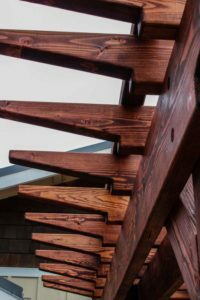 While our structures add functionality to your outdoor living space, they can also enhance it by including custom wood or metal garden art and rock formations as a centerpieces.